Do you want teeth that are straighter and whiter? More even and unified? How about all of the above? Here at Quality Dental Care in Omaha, we offer the cosmetic services that will give you that stunning smile in no time. Dull, discolored teeth can detract from the overall appearance of even the best looking people. Bright, white smiles turn heads and make great first impressions. Many of our patients are interested in brightening their smiles, so we provide advanced bleaching technology and plenty of whitening options. When you visit Quality Dental Care for tooth bleaching, you will see professional results in a short amount of time. Dental veneers can fix discolored teeth, misshapen teeth, or teeth that are an abnormal size or length. Veneers are thin shells are placed over the teeth that are distracting from your otherwise attractive smile. Once these beautiful porcelain veneers cover the problem teeth, you can enjoy a consistent and appealing smile. Missing teeth are destructive to both your health and your appearance. 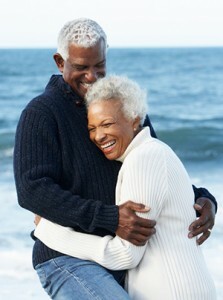 Dental implants will protect your oral health and boost your self-confidence. Implants, or replacement tooth roots, will stimulate and strengthen your jawbone. Your dental implants will be restored with crowns so that you can love your smile that feels, looks, and functions naturally. Now you don’t have to sacrifice your image to straighten your teeth. Invisalign braces consist of virtually invisible aligners that will give you a gorgeous, straight smile. Invisalign is made of comfortable, smooth plastic and works just as well as traditional braces. 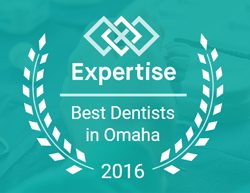 We offer all of these services and so much more at Quality Dental Care in Omaha. We love to make our patients feel good about themselves with cosmetic dentistry. Give us a call today to find out what we can do to make your smile stand out.